John Clay. JOHN MASTERS. A Regimented Life. Michael Joseph, London 1992. An authorized biography of the novelist John Masters (1914-83). 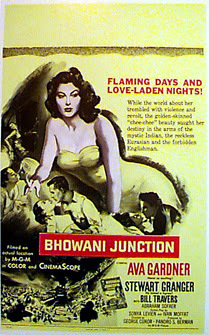 His best known books are 'Bhowani Junction' (1954) and 'Nightrunners of Bengal' (1951.) Born into a family who had served in India for five generations. Educated at Wellington and the RMA, Sandhurst, Masters returned to India in 1934 as an officer in the 4th Prince of Wales’ Own Gurkha Rifles, and saw active service in Waziristan, Iraq, Syria and Persia. Later, in Burma, he commanded a Chindit brigade, and fought with the 19th Indian Division at Mandalay and on the Mawchi Road. He retired in 1948 to emigrate to the States and take up writing. This biography provides a portrait of his sometime fiery character and, through its analysis of Masters' life and novels, an insight into the last days of the Indian Empire. John Clay is a practicing Jungian psychotherapist and the author of a biography of the bridge player, Ely Culbertson and also of psychiarist and thinker R.D. Laing. ('A Divided Self.') Bridge, Brains, Bengal. An unaccountably scarce book. At present there isn't a single copy available anywhere on the net. It is listed on a book site in Zaire but noted as 'SOLD.' It was said of Masters by an Indian writer that while Kipling understood India, John Masters understood Indians. 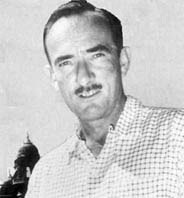 Basically a wandering expat, he moved from New York to Santa Fe where he made his home and enjoyed great literary success. He was a serious walker and (ahead of his time) he had tried to set up a travel agency in New York in the early 1950s for walking tours in India. When he died in 1983 his friends and family scattered his ashes from a plane over his favourite New Mexico hiking trails. VALUE? Master's books are in the main not scarce and you could probably buy his entire works for less than £400, possibly a bit more if the books were very fine with a few signatures etc. John Clay's biography of Masters is worth more than any of JM's own books. 9 months ago there were 2 copies available both over £100 and they both seem to have sold. As a collector of literary biographies (they are actually useful in this game) I checked if I had a copy, found a decent one and put it up on the net at £120 where it went like a bullet. Buyers waiting. Trouble is I no longer have a copy and I've spent the money. And I can't type despite being a writer! I have put this volume "John Clay. JOHN MASTERS. A Regimented Life. Michael Joseph, London 1992." on e-bay. It has reached £40 - Should I withdraw it and relist ? Thanks for that. I have re-listed it on e-Bay (UK) as item number 200391074863. I have also e-mailed the earlier bidders to tell then that it has been re-listed. I think I've read my way through all of Masters' writings. I'm lucky enough to have his three book autobiography and the Clay biography. As a result of his writings, I've traveled about the Himalaya area of India-Pakistan and into Afghanistan - now going to Assam where the Brits began some of the Burma campaigns of WW2. Masters was an interesting guy - would have loved to have met him.